Took photo after I sprayed it in my kitchen cupboard here in Tampa Bay Florida. 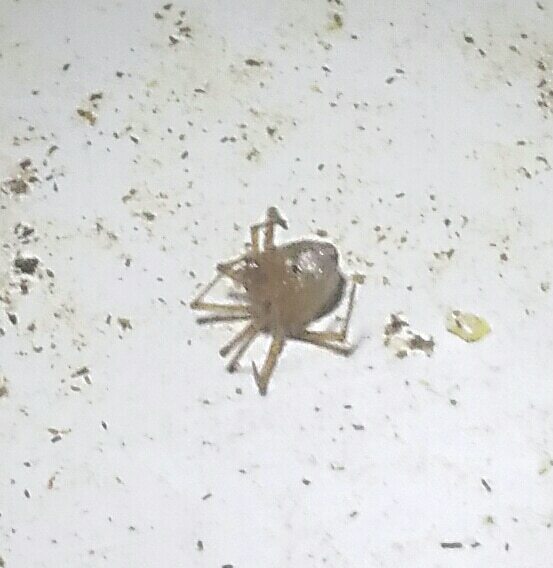 First guess is a common cupboard spider but worry it was a brown recluse. Abdomen was bulbous like a black widow but was brown. The Web was gnarly like a black widow and was unorganized. Realized there was a spider when my hand touched the web which was strong.